Jun 2010 “Service Award” International Society for Humor Studies. For having organized the 22nd International Society for Humor Studies Conference in Hong Kong . Jul 2009 “International Monica Humanitarianism Award ” International Association of Chinese Medical Specialists and Psychologists. For helping to provide financial aid for education to Qinghai “4.14 Earth Quake” victims in China . Oct 2008 “International Monica Humanitarianism Award ” International Association of Chinese Medical Specialists and Psychologists. For helping to deliver psychological relief services to Sichuan “5.12 Earth Quake” victims in China . Jan 2007 “Outstanding Contribution Award ” Chinese Association of Mental Health . For helping to promote counseling and mental education in China. Dec 2001 “Distinguished Contribution Award ” Chinese Association of Mental Health . For helping to promote counseling and mental education in China. Nov 2001 “Distinguished Services Award	” Hong Kong New Generation Association . For helping to promote counseling and mental education in China. 1993 - 1996, Assistant Professor, Chinese University of Hong Kong. Department of Educational Psychology. 1990 - 1992, Teaching Fellow, Harvard University. Graduate School of Education . Enhancing happiness and resilience among Mainland students in Hong Kong, CityU CLASS, Amount: $99,320, 2013 - 2014, Yue, X.D. (PI), Cheung, C.K. Yu, Xiaonan . Humor, creativity and subjective well-being: An explorative study in Hong Kong, CityU CLASS, Amount: HKD $59,800, 2013 - 2014, Yue, X. D (PI), Cheung, C.K. Hui, Anna. Universal and Culture-Specific Antecedents of Civic Engagement — Who Grows Up to be a Volunteer?, Univ. of Tilberg, Amount: HKD $35,871, 2012 - 2013, Yue, X.D. (PI), Chong, Alice. Excessive Internet Use among Youth and Adolescents in Hong Kong and China: Causes and Consequences, CityU CLASS, Amount: HKD $59,905, 2011 - 2012, Yue, X.D. (PI), Cheung, C.K. Wong, S.W..
A Study of Resilience among Mainland Chinese Students in Hong Kong, CityU Strategic, Amount: HKD $123,045, 2009 - 2011, Yue, X.D. (PI), Cheung, C.K.. Exploring Chinese Humor and Its Implications for Enhancing Subjective Well-Being and Coping in Chinese Society, CityU Strategic, Amount: HKD $162,218, 2008 - 2010, Yue, X.D. (PI), Cheung, C.K..
Exploration of Chinese Humor: A Study among University Students in Chinese Society, CityU Strategic, Amount: HKD $154,408, 2007 - 2009, Yue, X.D. (PI), Cheung, C.K.. Mental Health State among Chinese University Students in the SAR and the Role of Humour, CityU Strategic, Amount: HKD $59,654, 2007 - 2009, Yue, X.D. (PI), Lin, S.F..
Autobiographical Memory and Social Skills in Bicultural Hong Kong Chinese, CityU Research, Amount: HKD $49,539, 2006 - 2007, Yue, X.D. (PI), Bender, M.. Enhancing Critical Thinking in Adolescent Idol Worship: An Integrated Study in Hong Kong and Mainland China, CityU Strategic, Amount: HKD $183,558, 2006 - 2008, Yue, X.D. (PI), Wong, C. W. Cheung, C.K..
Empirical verification of the Style of Creative Behaviour model on the Hong Kong Chinese sample, CityU small scale, Amount: HKD $58,749, 2004 - 2005, Yue, X.D. (PI), Rudowicz, E.. Perceiving star idols as role models, CityU DAG, Amount: HKD $90,551, 2003 - 2005, Yue, X.D. (PI), Wong, C. W. Cheung, C.K..
Attribution of creative people in Chinese society, CityU small scale, Amount: HKD $46,604, 2002 - 2004, Yue, X.D. (PI). Identification of attributes of ideological and recreational idol worship in HK and China, CityU small scale, Amount: HKD $59,925, 2001 - 2002, Yue, X.D. (PI). A telephone survey of perception of popular idols and creative figures by young people in HK, Departmental research grant, Amount: HKD $42,000, 2000 - 2001, Yue, X.D. (PI), Wong, C. W. Cheung, C.K.. Teaching university students to learn, to think critically, and to be creative., TDG Grant, Amount: HKD $1,500,000, 2000 - 2002, Ko, Edmond I. (PI) Chan, Y. C. Cheng, W. Y. Cheung, C. K. Kwan, A. S. F. Lang, G. S. Rudowicz, E. Yue, X.D. .
Understanding patterns of adolescent idol worship in Chinese Societies., CityU Strategic, Amount: HKD $199,919, 2000 - 2002, Yue, X.D. (PI), Cheung, C.K. Hamid, N. Wong, C.W.. Effects of social and demographic factors on idol worship in Chinese societies, CityU small scale, Amount: HKD $60,000, 1999 - 2000, Yue, X.D. (PI), Wong, C. W. Cheung, C.K.. Examination of a utilitarian view of creativity in Chinese societies, CityU small scale, Amount: HKD $60,678, 1999 - 2000, Yue, X.D. (PI), Leung, Kwok. Understanding "hao-xue-xin" --- A study of a distinctive Chinese motivational model, CityU strategic, Amount: HKD $328,765, 1999 - 2001, Yue, X.D. 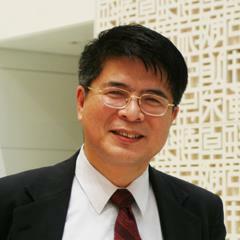 (PI), Jin Li Cheng, K.M. A comparative study of concept of creativity among Chinese people, CityU small scale, Amount: HKD $45,000, 1998 - 2000, Yue, X.D. (PI), Rudowicz, E..
A study on elderly people’s sexual attitudes, behaviors and ways of coping with sexual distress in HK, HK Jockey Club Charities Trus, Amount: HKD $290,000, 1998 - 1999, Yue, X.D. (PI), Chan, C.M. Cheung, C.K.. Idol worshipping and role modeling in Chinese societies, CityU small scale, Amount: HKD $49,000, 1998 - 1999, Yue, X.D. (PI), Cheung, C.K..
Intergenerational communication between the young and the elderly, CityU small scale, Amount: HKD $42,000, 1997 - 1998, Yue, X.D. (PI), Ng, S.H. Yuan, M. , Liu, L. J. , Xu, L. Z. , Guo, T. Y. , YUE, Xiaodong. & Li, S. X. (2016). ) Effects of environmental stress on the depression-like behaviors and the diurnal rhythm of corticosterone and melatonin in male rats. Acta Physiologica Sinica. 68 (3). 215 - 223. Aydinli-Karakulak, A. , Bender, M. , Chong, M. L. & YUE, Xiaodong. (2016). Applying Western models of volunteering in Hong Kong: The role of empathy, prosocial motivation and motive-experience fit for volunteering. Asian Journal of Social Psychology. 19 (2). 112 - 123. YUE, Xiaodong. , Liu, K. W, Y. , Jiang, F. & Hiranadani, N. A. (2014). Humor Styles, Self-Esteem, and Subjective Happiness. Psychological Reports. 115(2). 517 - 525. NA Hiranandani, & XD Yue(2014). Humour styles, gelotophobia and self‐esteem among Chinese and Indian university students. Asian Journal of Social Psychology. 17 (4), 319-324, 2014. YUE, Xiaodong. (2017). Humor and Chinese Culture A Psychological Approach. Routledge Press. YUE, X.D. (2012). On Psychology of Humor (in Chinese). City University of Hong Kong Press. YUE, X.D. (2011). Nurturing Creativity in Young People (in Chinese). City University of Hong Kong Press. YUE, X.D. (2010). Psychology and Decision-making (in Chinese). Hong Kong Commercial Press. YUE, X.D. (2009). Psychological Analysis of Celebrities in History (in Chinese). Hong Kong Commercial Press. YUE, X.D. (2008). Be an All-Round Youth: 8 Lessons from Positive Psychology (in Chinese). City University of Hong Kong Press. YUE, X.D. (2007). My Favorite Idols – Your Die-Hard fans: The Study of Adolescent Idol Worship (in Chinese). City University of Hong Kong Press. YUE, X.D. & Zhu, X. H. (2001). Theories and techniques of counseling for primary and secondary schools (in Chinese). Beijing Normal University Press Beijing. YUE, X.D. (1997). Feeling like up in the Sky: my counseling experiences at Harvard University (in Chinese). Beijing Normal University Press Beijing. YUE, X.D. , Liu, J. H. & Li, M. (2010). Chapter 34: Chinese social identity and inter-group relationships: The influence of benevolent authority. Handbook of Chinese Psychology. (pp. 579 - 598). London, UK. Oxford University Press. YUE, X.D. & Young, K. (2010). Prevalence Estimates and Etiologic Models of Internet Addiction in Kimberly Young & Cristiano Nabuco de Abreu (Eds.). Internet Addiction: A Handbook and Guide to Evaluation and Treatment. New York. Wiley. YUE, X.D. (2009). Youth dispositional empowerment: Cultivating hardiness and resilience in young people. In Liu, Holosko, & Lo, (Eds.). Youth Empowerment and Volunteerism: Principles, Policies, and Practices. (pp. 83 - 98). Hong Kong. City University of Hong Kong Press. YUE, X.D. & Li, J. (2004). Self in learning among Chinese adolescents. In M. F. Mascolo & J. Li. (Eds.). Culture and developing selves: Beyond dichotomization. New Directions in Child and Adolescent Development. (pp. 27 - 43). San Francisco. Jossey-Bass. YUE, X.D. (2004). Idol worship among Hong Kong youth: Problems and strategies (in Chinese). Hong Kong Education Series (5): The value education for Hong Kong Youth. Hong Kong. Hong Kong. Joint-publishing House. YUE, X.D. (2004). Youth dispositional empowerment: Cultivating hardiness and resilience in young people. In Lo, T. W. & Au, E. (Eds.). Youth Empowerment: International Experiences. Hong Kong. City University of Hong Kong Press. YUE, X.D. (1999). Chapters 2 & 3 in Zhang, X. Q. (Ed.). Theories and Practice of Counseling (in Chinese). (pp. 11-25 & 52-120 Beijing. People’s University Press. 2017 - Now, Fellow, Hong Kong Psychological Society.Hong Kong. Sep 1997 - Dec 2016, Associate Fellow, Hong Kong Psychological Society.Hong Kong. 2016 - 2017, Course Reviewer, Open University of Hong Kong. 2016 - 2017, Course Reviewer, HKU SPACE COMMUNITY . 2016 - 2017, Course Reviewer, Hong Kong Lingnan University. 2016 - 2017, Promoting Creativity and Happiness among Secondary School Students: A Experiment in Linzi (临淄), The Department of Education of Linzi Municipal Government.Linzi (临淄). 2010 - Now, Providing assessment for the course of Counseling and Guidance , Open University of Hong Kong . 2009 - Now, Providing assessment for the course of Introduction to Positive Psychology, HKU SPACE COMMUNITY COLLEGE . 1999 - Now, Consultant , Hong Kong New Generation Cultural Association . 2017 - Now, Editorial Board, Psychological Report. 2016 - Now, Editorial Board, International Journal of Psychology & Behavior Analysis. 2016 - 2017, Member, Executive Committee, Division of Counselling Psychology, Hong Kong Psychological Society. 2006 - 2010, Chair of Division of Counseling Psychology, Hong Kong Psychological Society. 2006 - 2007, Scientific Officer , Hong Kong Psychological Society. 2003 - Now, Fellow and vice president, International Association of Chinese Medical Specialists and Psychologists. 1997 - Now, Associate Fellow, Hong Kong Psychological Society. 1997 - Now, Fellow, Hong Kong Youth Studies Association. 1997 - 1999, Hong Kong Psychological Society, Scientific Officer . Jan 2016 - Now, Assistant Dean, Mainland Programme Development. Sep 2015 - Now, Cultural and Sports Committee, Appointed Member. Sep 2014 - Dec 2015, Assistant Dean, Internationalization. 2013 - 2017, PhD Fei CHENG, Self and Idol Worship. 2009 - 2012, PhD Feng Jiang "Culture and Experience: Chinese and Americans Judegement about Experience-Related Issues". 2015 - Now, Bachelor Degree, Happiness: An Interdisplinary Perspective. 2015 - 2016, Bachelor of Social Sciences, Introduction to Counselling Psychology. 2012 - 2014, Bachelor of Social Sciences, Cultural Psychology. 2010 - Now, Bachelor of Social Science, Summer Internship. 2008 - 2009, Bachelor of Social Sciences, Cummunity Psychology. 2008 - 2012, Bachelor of Social Sciences, Personality Psychology. 2007 - 2013, Master of Social Sciences, Social Work, Positive Psychology for helping Professionals. 2006 - 2009, Bachelor of Social Sciences, Special Topics in Chinese Psychology. 1997 - 2015, Master of Social Sciences, Personality Thoeries and Assessment. Facilitating students’ self-development with counseling strategies: Reflections and recommendations.